Run by family that were so friendly and accommodating. I used to go to Greece when I was much younger and this is the way I remember Greece. I'd rather go somewhere where they actually learn your face and name as opposed to a huge resort where you are just another cog in the money wheel. Would definitely go back. I come in faliraki every summer since 5 years and for me this is the best place where to stay, the owners are so friendly, so nice, the room is perfect , specially the one where I was with beautiful view and big terrace, thank you very much Eleni, and see you next year !! Perfect place to stay for our trip to Rhodes as we were on a budget. Would stay again! Friendly people, good location - not far from center but at the same time quiet. A little shop, cash machine and car hire nearby. And the breakfast nice lady make on a spot according to your wishes. Pool or beach, choose what you want. I liked the comfort and cleanliness of elarin.the single room had an amazing roof top balcony.the staff and owners were excellent too. The owners of the hotel are very sweet and kind. When you have a problem, they try to fix it asap. Lock in a great price for Elarin – rated 9.2 by recent guests! Elarin is located on the outskirts of Faliraki and 9.3 mi from the Town of Rhodes. The beach is within walking distance. 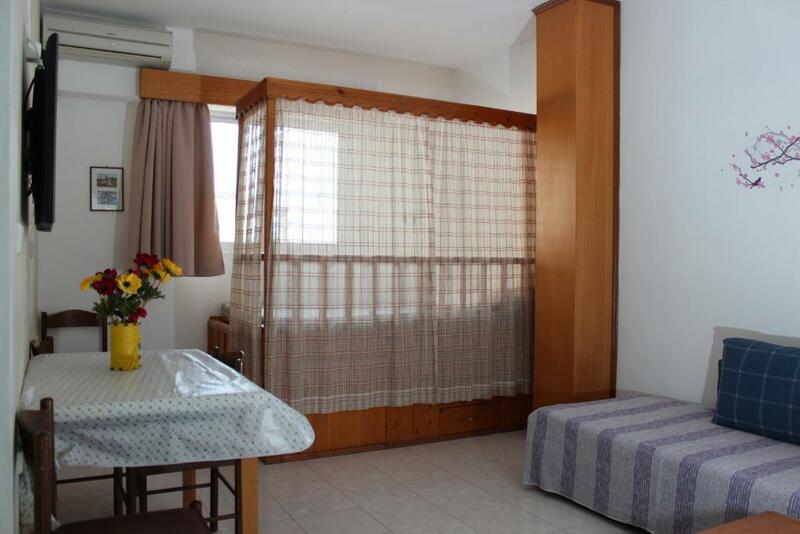 The air-conditioned studios have a balcony or patio, kitchenettes with kettle and refrigerator, telephone and TV. Their private bathrooms include hairdryers. Wi-Fi Internet is available in public areas of the hotel. The hotel features a swimming pool (including separate children's pool) with pool bar offering light snacks and free sun beds. Supermarkets, restaurants and the bus stop are all very close. Free car parking is provided. When would you like to stay at Elarin? Located on the ground floor, this studio opens to a patio, kitchenette with kettle and refrigerator and TV. Features garden views. Late check-out until 14:00 is offered. 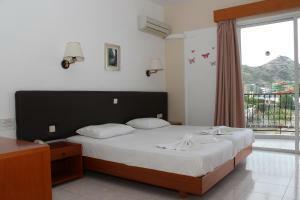 Air-conditioned studio with balcony, ceiling fan, kitchenette with teakettle, fridge and LCD TV. Has views of the grounds. Late check-out until 2 pm is available. 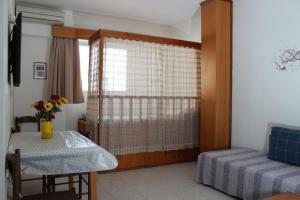 Air-conditioned studio with balcony, kitchenette with teakettle, fridge and LCD TV. Has pool views. An extra guest can be accommodated in existing beds free of charge. Late check-out until 2 pm is available. 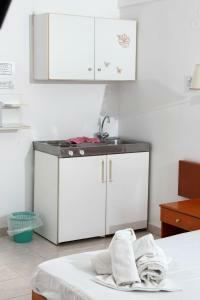 Air-conditioned studio with balcony, kitchenette with teakettle, fridge and LCD TV. Has views of the grounds. Late check-out until 2 pm is available. 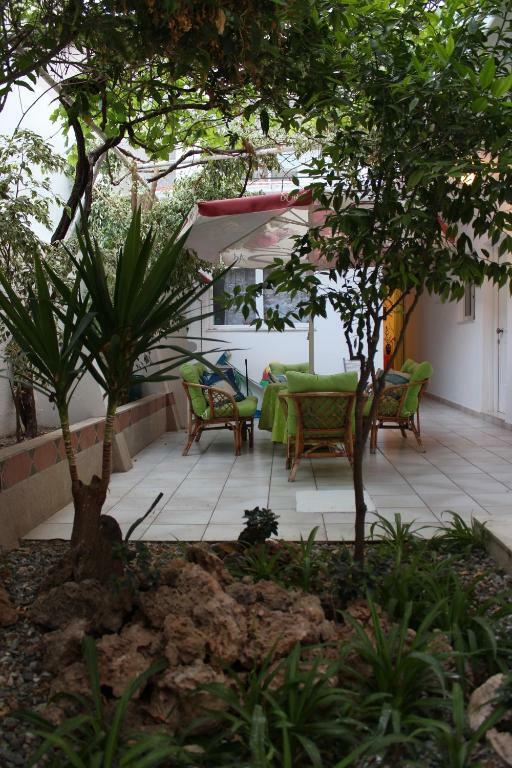 Air-conditioned apartment with pool-view balcony, small kitchen with dining table, fridge and LCD TV. Can accommodate a baby cot. Late check (up to 14:00 hours) out is possible. Please note that this apartment can accommiodate 4 adults, or 3 adults and 2 children. 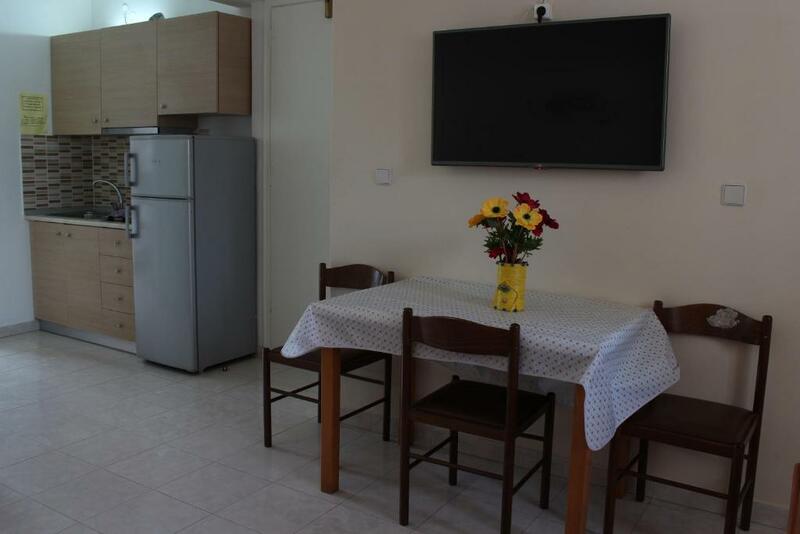 Air-conditioned studio with balcony, LCD TV and a kitchenette with kettle and fridge. Offers pool views. Late check-out until 14:00 is offered. This studio features air conditioning, tile/marble floor and electric kettle. House Rules Elarin takes special requests – add in the next step! Elarin accepts these cards and reserves the right to temporarily hold an amount prior to arrival. The wifi did not work in our room. Not a downside, just to know, that single room is on a top floor without elevator, but you will have your own terrace! 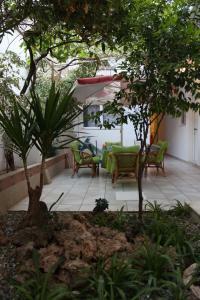 The property is about 15 minute walk from the centre of Faliraki. The location of the hotel is far from the city centre and the sea. Wifi is not working in the room.